Montana is a rare and special place in the modern world. Its slow-paced way of life, natural charms, and “live and let live” mantra make it a great getaway from the hustle and bustle of Los Angeles. Montana, also known as, “The Treasure State,” is a land of vast rolling plains, crisp air, spiraling snowy peaks and crystal clear glacier waters. Step back in time as you visit one of the many Old West rodeo towns, which bring to life the state’s mining and cowboy past. Then explore the rugged outback of Glacier National Park, one of North America’s most celebrated and diverse wilderness areas. Perhaps Montana’s biggest claim to fame is its wide-open, deep blue skies that seem to stretch on forever. No matter why or when you come to visit, Montana’s simplicity, beauty, and open-hearted people will leave a lasting impression. Montana might not be at the top of many travel lists, but once you’re there you might never want to go home. Native American tribes including the Crows, Cheyenne, Blackfeet and Kootenai were the original inhabitants of what would later become the state of Montana. The famed Lewis and Clark expeditions of 1804-1806 brought the first European-Americans to this land, and this was followed by the arrival of merchants including traders and fur trappers. Natives began to suffer as the arrival of a new economic system, disease, and the loss of natural resources took a toll on their way of life. The gold rush of 1862 brought thousands of miners to Montana along the Montana Trail, which stretched to southern Utah. This put even more strain on the Native American population’s access to resources, and some took to raiding the mining convoys for supplies. The U.S. army retaliated in the brutal massacre of the Shoshoni people at the Battle of Bear River in 1863. 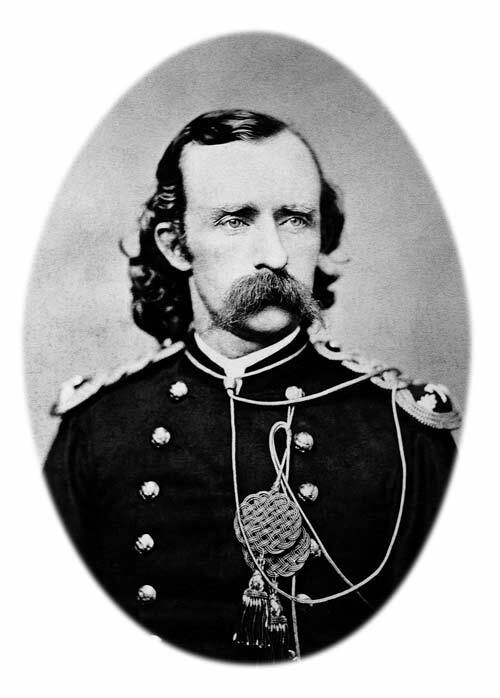 However, the army, under the command of George Custer, suffered one of its greatest defeats at the infamous Battle of Little Bighorn in eastern Montana in 1876. The last major stand of the Montanan Native American tribes was in 1877 when the Nez Perce people held off the army at the Battle of the Big Hole. After the Native Americans were defeated, settlers flowed into the state via the new railroad built in the 1880‘s. Some were attracted by the recently discovered silver and copper lodes in Butte, while others took advantage of Montana’s huge grasslands for farming. The Enlarged Homestead Act of 1909 made the land cheap, and brought in tens of thousands. Many of these new arrivals engaged in wheat farming, until the economic effects of WWI financially ruined many of them. FDR’s New Deal plan during the Great Depression brought much-needed economic revitalization to the state including the building of Fort Peck Dam, afforestation by the Civilian Conservation Corps, and public construction projects by the Works Progress Administration. Montana in the post-WWII era has gradually shifted from a resource-based economy to also include tourism as a major source of revenue. The state government and local communities have made great strides in building bridges with Native Americans, and Montana today is a highly diverse society. Montanans pride themselves on their defense of the environment, an independent mindset, and sense of community. Glacier National Park: Created in 1910 when the American conservation movement was in its infancy, Glacier National Park is one of Montana’s most popular attractions. Visitors are rewarded with historic lodges, awe-inspiring Going-to-the-Sun Road, and an incredible variety of local wildlife. Rushing streams, huge meadows and alpine lakes, are just some examples of the epic scenery contained within this massive 1500 square mile preserve. The park is also the only place in the lower 48 states where you can see grizzly bears in their natural habitat. But, of course, viewing the scenery is only half the fun. Glacier National Park has no shortage of outdoor activities including hiking, biking, fishing, horseback riding, and winter sports such as skiing and snowshoeing. One of the most scenic hikes is the 2.5 mile trail from Sperry Chalet to Sperry Glacier. The climb is steep, but the incredible view of the surrounding valley, as well as of the glacier itself, make it worthwhile. Most mountain passes and services are closed in the winter and spring, so the best time to visit is in June, July or August. The park is serviced by Glacier Park International Airport, located about 30 miles west of the park’s western entrance. By car, both the I-90 and I-15 freeways lead to the park. If you have extra time, consider taking the Amtrak Empire Builder train, which is arguably the best way to see the park. The Amtrak option allows for bundling with special tour options, (available from amtrakvacations.com). Day trips from the park include Waterton Lakes National Park, located just over the Canadian border, and the excellent ski resort town of Whitefish. 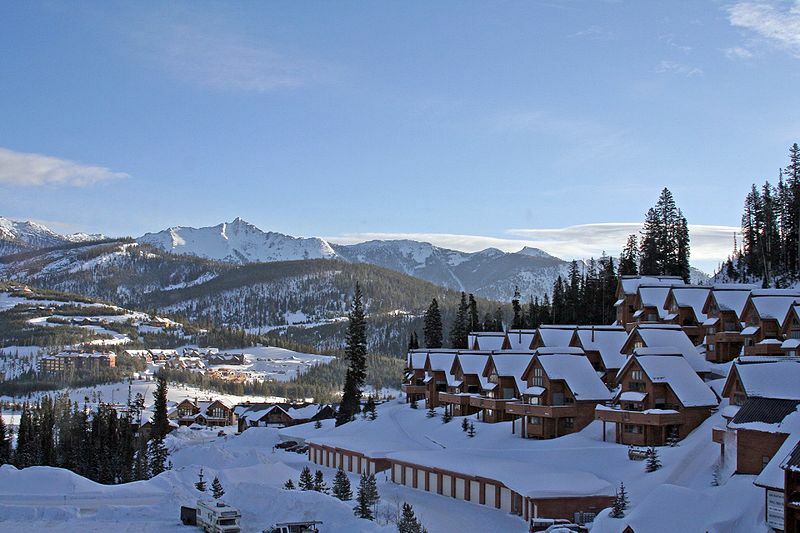 Big Sky: When it comes to winter activities, few places in America can compare with Big Sky Resort. Built in 1973 and located just a few miles away from Yellowstone National Park, it recently became the country’s largest ski resort by acreage. Hiking trails, accessible in summer, wind their way throughout the surrounding forests, and a tram takes you to the top of the mountain for spectacular views. The nearby Gallatin River is a favorite for kayakers and fishing enthusiasts. Wildlife in the area includes grizzly bears, wolves, and elk. Besides outdoor activities, visitors can enjoy free classical music concerts in August. Billings: Montana’s largest city, Billings is in the middle of six mountain ranges. It’s a must-see for those interested in the history of the Old West. The Lewis and Clark expedition stopped in this area and left their inscription in the huge rock formation now known as Pompeys Pillar National Monument. Billings became a railroad hub in the late 1800‘s and has continued to preserve its Old West legacy ever since. The Western Heritage Center has over 16,000 artifacts that tell the story of the early settlers in Montana, as well as of the unique Native American cultures of the region. Just outside the city is the Pictograph Cave State Park, a prehistoric archaeological site containing cave paintings that are over 2000 years old. Also check out the Yellowstone Art Museum, home to one of America’s finest collections of Western art including over 3,000 pieces by cowboy illustrator Will James. Finally, stop by the lavishly styled Moss Mansion, built by the same architect who designed the Waldorf-Astoria hotel in New York. Bozeman: Nestled in the heart of the Gallatin Valley, Bozeman’s peaceful, laid-back nature belies the many unique attractions it has to offer. The excellent Museum of the Rockies has a planetarium, huge historical artifact collection, and a children’s discovery center. The Pioneer Museum allows visitors to step into a real Old West jail cell where staff wear period costumes for added authenticity. An unexpected sight in Bozeman, let alone in Montana, is the American Computer Museum, showing such fascinating exhibits as the history of the Internet, the development of personal computers, and the history of robotics. For local outdoor activities, head to Palisade Falls or take a drive up to the gorgeous Gallatin Canyon for excellent rock climbing and photography opportunities. Great Falls: This is one of Montana’s top outdoors sites. The Lewis and Clark Interpretive Center tells the story of how these two legendary pioneers helped make America what it is today. Nearby is Giant Springs State Park, containing one of the largest naturally occurring springs in the world. Visit the fish hatchery and watch the feeding frenzy, and afterwards grab a bottle of pure spring water to take home. Helena: Located halfway between Yellowstone and Glacier National Parks, Helena is Montana’s capital city. 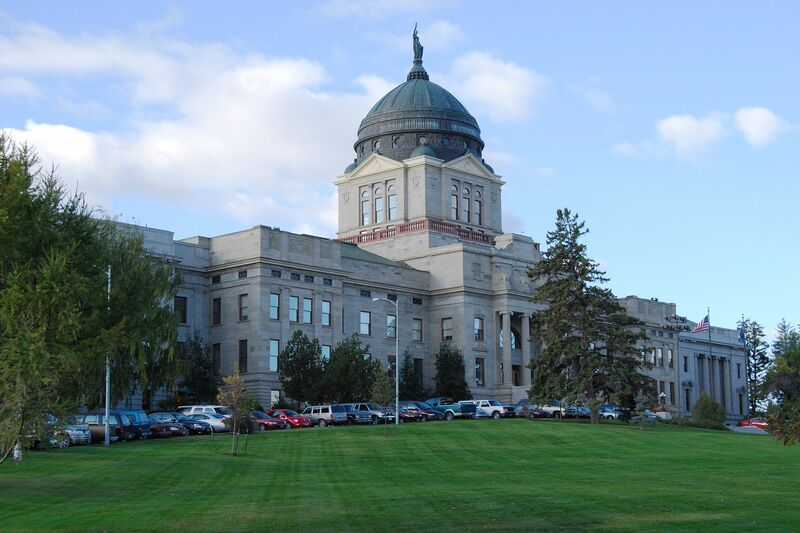 Visit the beautifully designed State Capitol building (tours are free) and see how politics work in free-spirited Montana. The Montana Historical Society museum features displays on Native American history, settler history, and the works of Old West painter Charles Russell. The old-fashioned, animal-themed Great Northern Carousel ride is a perfect treat for kids. The Original Governor’s Mansion is a quaint Victorian building that’s been lovingly recreated to show how it looked in the late 1800‘s. Finally, hike to the top of Mt. Helena and get a stunning view of the city below. 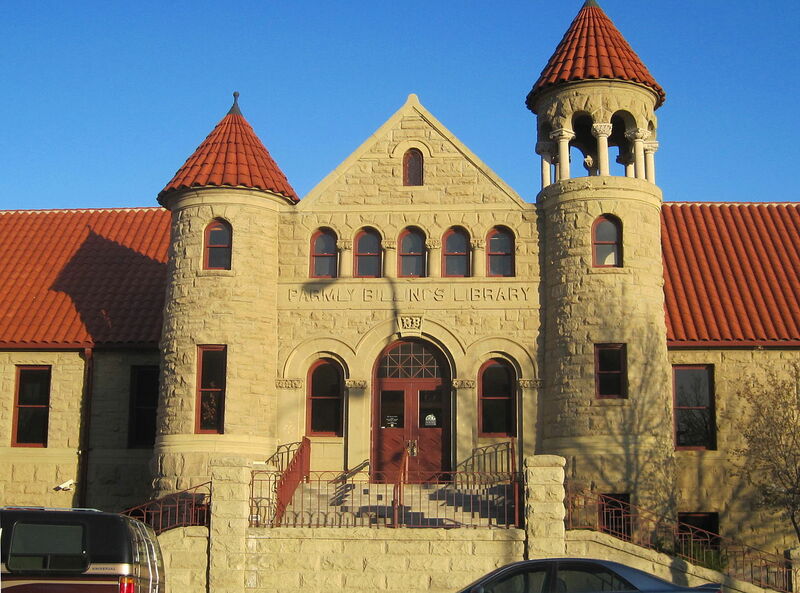 Butte: This historical town was once the nerve center of Montana’s mining operations. Its landmark district has some of America’s best-preserved Victorian architecture. Perhaps the most interesting attraction (or terrifying, depending on your perspective) is Berkeley Pit, a former open pit copper mine that is now on the federal Superfund list of toxic sites. There’s a viewing deck and gift shop, but it’s not advised to go there. For something much safer, one of Butte’s best attractions is the World of Museum of Mining. There, you can see original buildings from a turn-of-the-century mining town. Take an underground mine tour that goes 65 feet down, complete with a hard-hat and lamp given to you by staff. Next, you’ll want to head to the Mineral Museum, containing over 1,300 specimens from around the world including gold nuggets and many other beautiful, sparkling minerals and crystals. The stately Copper King Mansion will round out your trip with an inside view of how one of the 19th-century Montanan copper barons lived. Little Bighorn National Monument: No visit to Montana would be complete without stopping off at this solemn battle site. Were it not for the presence of gravestones for soldiers of both sides of the battle, one would not guess that this desolate plain is where General Custer made his last stand in 1876 and there are two annual re-enactments of the battle. Kosher food in Montana is expanding thanks to Chabad of Montana leader Rabbi Chaim Bruk, who established a local kashrut agency five years ago. As of now, kosher food can be found in markets including Albertson’s and Safeway. Most visitors drive to Montana, but major cities such as Billings, Missoula, Helena, and Bozeman do have airports. Greyhound offers limited service throughout the state, and, as mentioned before, Amtrak can get you right into Glacier National Park. A car trip from L.A. to Bozeman is about 15 hours long, L.A. to Glacier National Park 19 hours, and L.A. to Billings 18 hours.